Thirty years ago today, on an early Sunday morning, as our Marines slept soundly in their cots at Beirut International Airport, an Iranian terrorist smashed a truck filled with explosives into their barracks. According to witnesses, the blast was so enormous, it actually lifted the four-story building into the air before it came crashing down, killing 220 Marines. It was the single largest Marine loss since Iwo Jima and also killed 18 sailors, three soldiers and six civilians. At nearly the same moment, a second suicide bomber blew up a nine-story building on the other side of the airport, ending the lives of 58 French paratroopers. Because there were those in Washington who didn’t want the US to appear “warlike,” the Marines were unable to defend themselves. The guards posted outside the barracks that Sunday morning were not allowed to carry live rounds in their chambers. Sadly, most Americans don’t even remember this day. But our enemies do. And more importantly, our response. What is happening in Washington state? First two blacks attack and beat a World War II combat Veteran to death and now another one of America’s combat Veterans has been stabbed to death. Could SPC Geike have been Obama’s son? Does Obama feel compassion and need to make a press conference out of this tragedy? I suppose the killing of Army SPC Geike just does not fit the president or the liberal media’s race-baiting agenda. One has to wonder what the headlines would be if things were reversed? Hate crime, damn right it is. A bunch of losers hating on honorable Americans, but that is the new order in Obama’s realm. I have a special, confidential announcement to share with you today. In order to focus on political interests, Allen West will transition from his full-time role as director of programming for Next Generation.TV to a twice-a-month contributor of written commentary on PJMedia.com, effective October 1, 2013. I wanted our staff and consultants to have this information first. However, PJ Media is not announcing this publicly for several weeks, so please do not share this news with anyone outside of the company until you see our public announcement. I thank Allen for all his dedication, hard work and contributions in launching Next Generation.TV and in establishing our Washington, D.C. presence and studio. I speak for all of us when I wish Allen the very best experiences and outcomes in his future endeavors. My commitment to the Washington, D.C. staff and studio remains as solid as ever. I am proud of this fine studio that so many of you worked diligently to construct, and I am excited to work with our D.C. and Los Angeles contributors and producers on the next generation of NG.TV programming. Our next phase of programming for Next Generation.TV is our most important so far. We are taking that big step to produce shows for millennials, about millennials and narrated by millennials. This past January when we launched Next Generation.TV, we determined that our initial programming should be geared to the parents and grandparents of millennials since we have been building this older audience for many years. We always had in mind that we’d reach out to the millennials themselves starting in the later part of this year and cover their stories of achievement in business, science, the arts, sports, civic and military service, and leadership. I am pleased to say that our first wave of this new content will debut on October 17 at Next Generation.TV’s first live and Web event entitled “Next Generation Startups – Young Women Building New Businesses.” This event will feature seven young female entrepreneurs who detail what it took to build their businesses. They all demonstrate that can-do spirit that made, and will keep, America great. If you have any questions on these announcements, please feel free to contact Sandra Rozanski or Joan Seavey. 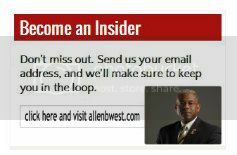 Below, you will find a personal message from Allen West about his time at Next Generation.TV and what he has planned for the future. At Next Generation.TV, PJ Media has given me a powerful platform from which to address the critical issues facing our nation and its future generations. I am very proud of the work I did at Next Generation.TV, especially the news bureau that we have established in Washington, D.C. It is off to a great start delivering new content for our viewers along with mentoring the next generation of millennial journalists. During the nine months that I have spent at PJ Media, I have learned so much about what it takes to produce credible and informative programming, and I appreciate the help and support that all of you have provided me in that effort. Shortly, I will be giving up my position as director of programming at Next Generation.TV to get back on the front lines to expand the message of constitutional conservatism across our country. I will also be focused on supporting my Allen West Guardian Fund PAC in promoting the next generation of conservative candidates in the 2014 election cycle. And I’m happy to say that I will be contributing written commentary to PJMedia.com twice a month. It has been my pleasure to work with all of you, and I look forward to continuing to contribute to PJ Media. A new poll from Bloomberg shows 68% of Americans say the U.S. is on the wrong track. Let me put that into perspective: 2 out of every 3 Americans believe this nation is heading in the wrong direction. Friends, clearly something is very wrong in Washington. >> We have a president who doesn’t know which way is up. >> We have a Senate that’s trying to prove its significance by refusing to compromise. >> We have a House that can’t even rally together members of the same party around a piece of legislation. What we have is a disaster. As we close in on our quarterly deadline, I need you to stand with me to usher in the next generation of conservative leaders. It’s our mission to send more principled conservatives to Congress, like Senator Ted Cruz, who never shy away from what they know is right. That’s why I’m asking you to invest in the Guardian Fund today to make sure we meet our $200,000 online goal for the quarter. Please follow this link to donate $25, $50, $100 or more to the Guardian Fund today. No matter how much you’re able to give, your support will bring us one step closer to electing 14 new hard-charging conservatives to Congress in 2014. Thank you in advance for your support. WASHINGTON, September 13, 2013 – While he no longer holds elected office, Colonel Allen West’s impact on the national political scene continues to grow. The Allen West Guardian Fund is announcing its first endorsements for the 2014 election cycle, including Congressman Tom Cotton, Arkansas Senate; Mia Love, Utah – 4, who was also endorsed in 2012; Dan Bongino, MD – 6; and E.W. Jackson, the GOP Nominee for Lt. Governor, Virginia. The fund plans to endorse a total of 14 persons, leaving ten more endorsements to be announced. As a nation we are experiencing a significant divide as we watch the economic, political and foreign policies of the Obama administration reaching conclusions. The ability to control the decisions made in Washington lies with the voters, only it requires informed and engaged voters. “We’ve got to elect principled leaders who will protect and preserve our liberties and our nation,” Col. West says. The Allen West Guardian Fund’s mission is to support minority and veteran conservative candidates; candidates reflecting the mores of Colonel West. Obviously America agrees with Colonel West as the group has raised nearly $1.9 million so far in 2013. The Federal limit for direct contributions is $5,000.00 for primary plus $5,000.00 making the maximum endorsement for any candidate $10,000.00. The leadership PAC Colonel West established during the 2012 election cycle endorsed 13 candidates, 11 of which have prior military service. 2013 Endorsement recipients will be honored at a Capitol Hill Club breakfast event on Thursday, October 10. Colonel Allen West and Lt. General William G. “Jerry” Boykin will be attending, and speaking at this event. For more information visit the Allen West Guardian Fund website. Our Constitutional republic is under attack. Barack Obama and his liberal henchmen are radically transforming this nation into a socialist paradise where the federal government is invading every aspect of our lives. And without immediate action to stop them in their tracks, I fear they will succeed. I know you share my passion for restoring commonsense conservative principles in Washington, and I’m counting on your support to elect 14 hard-charging conservatives to Congress next fall. But first, I urgently need your help to expose just how much danger America is in as long as Barack Obama is at the helm. My team and I have prepared a personalized, confidential survey for you to tell me how strong — or weak — you believe the state of our union is and whether you think America is on the right or wrong track. Will you follow this link right now to complete the brief State of the Union survey? I’ve told you before that leadership is about character — you either have it or you don’t — and that we call leading from behind following in the military. Well if we’ve learned one thing during Obama’s six years in the Oval Office, it’s that he’s a follower. But what does that mean for the strength of this nation? Tell me what you think by completing the confidential State of the Union survey today. When you’ve completed the survey, I encourage you to make a generous donation to support the Guardian Fund and our efforts to elect 14 hard-charging conservatives to Congress in 2014. Whether you can donate $10, $25, $50 or more, your support is critical to successfully completing our mission. P.S. The State of the Union survey is a tool we’ll use on an on-going basis to gauge how strong — or weak — you believe the state of our union to be. As we enter election season 2014, your feedback will be critical to helping us keep the Obama administration’s shortcomings and failures front and center in the media. Thank you in advance for your support. Friends, this left me speechless. This week White House Press Secretary Jay Carney was asked which of the scandals currently plaguing the White House President Obama thought was “phony.” Shockingly…he had a very specific answer. Benghazi and the IRS. I’m enraged that our Commander-in-Chief feels that the American people’s concern over what happened in Benghazi is “phony.” And further, President Obama should outraged by the warrantless targeting of conservative groups by the IRS. No one has attempted to make these events into scandals…those inside his administration who perpetrated these crimes did all the work. Patriots, don’t settle for less. Demand leaders with integrity, strong work ethic, and conservative principles. I can’t think of two topics more worthy of the attention of the American people. As former military commander, I knew I had to have my priorities straight or the people it was my job to protect were going to die. If our President doesn’t believe what happened in Benghazi or the gross violation of our Constitution by IRS are not a priorities of the American people….he shouldn’t be our President! I created the Allen West Guardian Fund for one purpose: to ensure we have leaders Washington who will stand as guardians of our Constitutional republic and change the face of American leadership. I’m not ready to settle for second-rate leaders who have priorities that are seriously out-touch with the American people. PS: Benghazi and the IRS — I can’t think of two topics more worthy of the attention of the American people. Please, help me realign the priorities of leaders in Washington by making an immediate contribution right now. Allen West is the Federal Government acting with the consent of the governed? Col. Allen West reviews the current scandals in Washington, D.C., and is amazed by the ease with which government officials lie, mislead and intimidate. Whether it is the Benghazi talking points, or the recently revealed NSA PRISM program, Col. West wonders whether the federal government is truly acting with the consent of the governed.